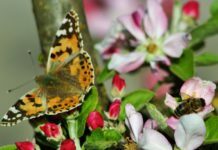 March 14th is National Learn About Butterflies Day so we’d like to celebrate by sharing a little about butterflies and appreciate their beauty. There are over 20,000 types of butterflies worldwide. Their wingspans can range from 1/2 inch to 11 inches. 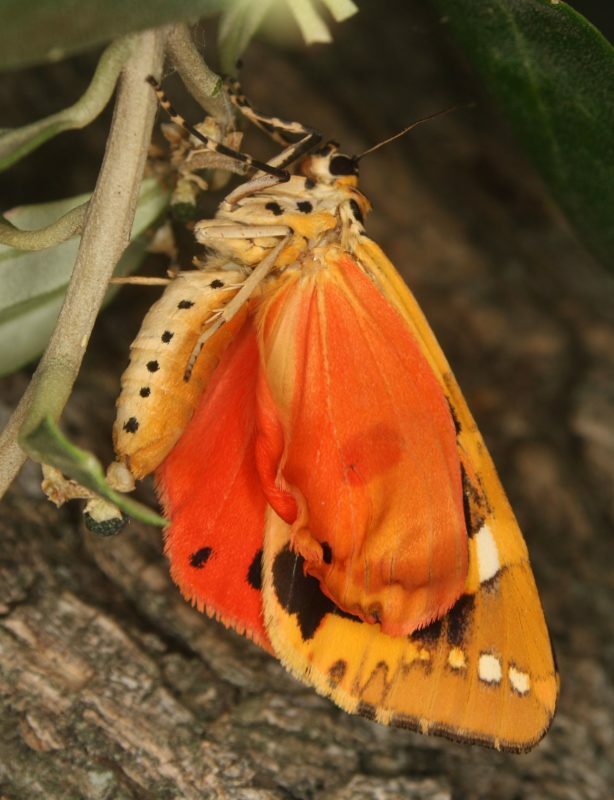 Did you know that in their adult stage butterflies can live from a week up to a year, depending on the species? 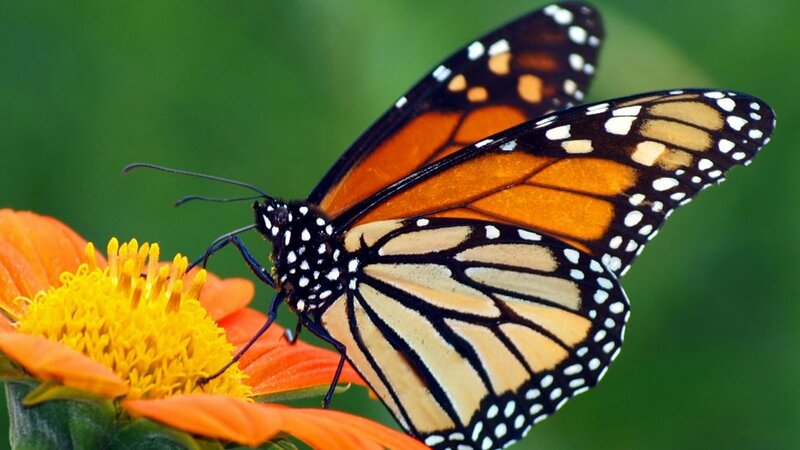 Many butterflies migrate over long distances, the most famous of which are those of the Monarch butterfly from Mexico to the northern USA and southern Canada, a distance of about 2500 to 3000 miles. 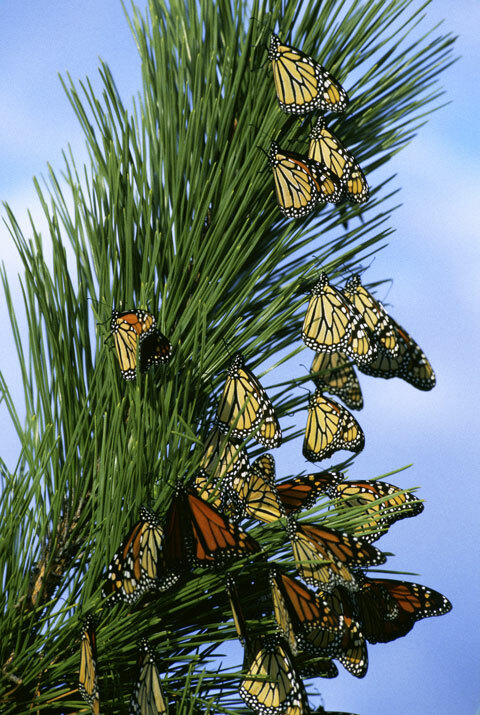 At the wintering sites in Mexico, the Monarch butterflies roost in the millions in huge groups in the trees. 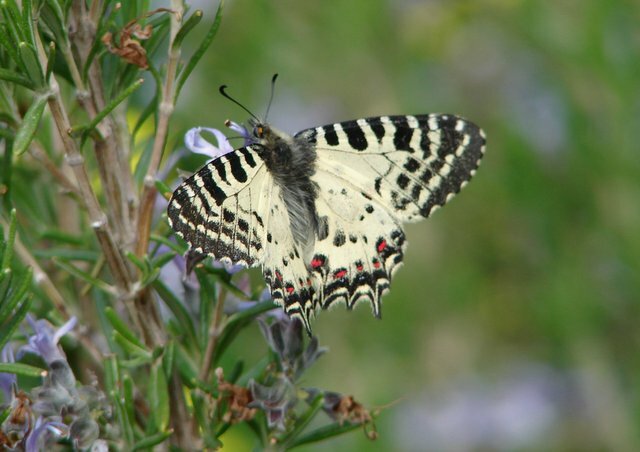 There are around 375 species of butterflies found in Turkey. 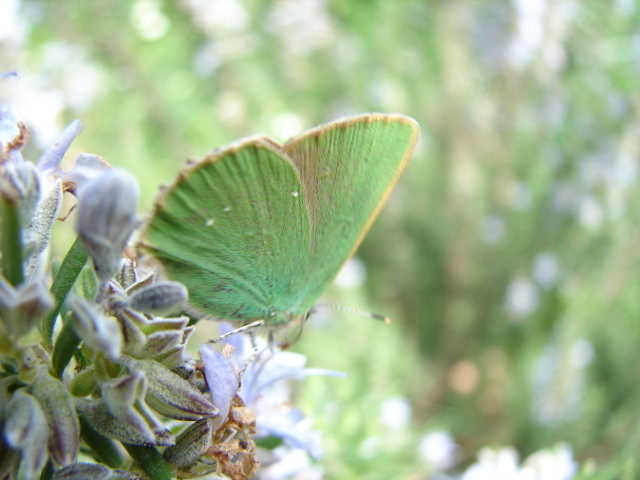 Many species of these butterflies can be found at Butterfly Valley (Kelebekler Vadısı) near Ölüdeniz. 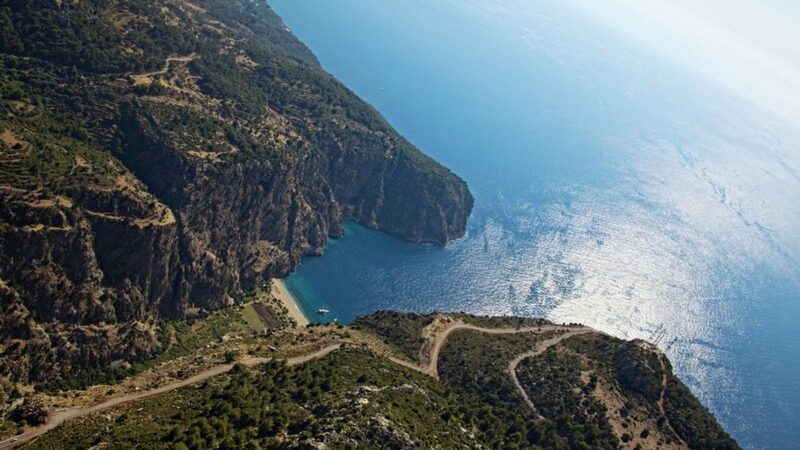 The Anatolia Tourism Development Cooperative bought Butterfly Valley from the villagers of Faralya in 1981 and opened it for tourism in 1984. Three years later, when the government deemed the valley a national preservation area to protect the butterflies and local flora, the cooperative outlawed the construction of permanent buildings. 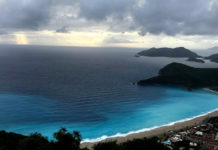 Today, they allow only tents and ramshackle bungalows, and they’ve focused on natural growth as opposed to commercial. Olives, pomegranates, lemons, oranges, grapes, walnuts, peaches, apricots, palm, oleander and laurel all thrive here. 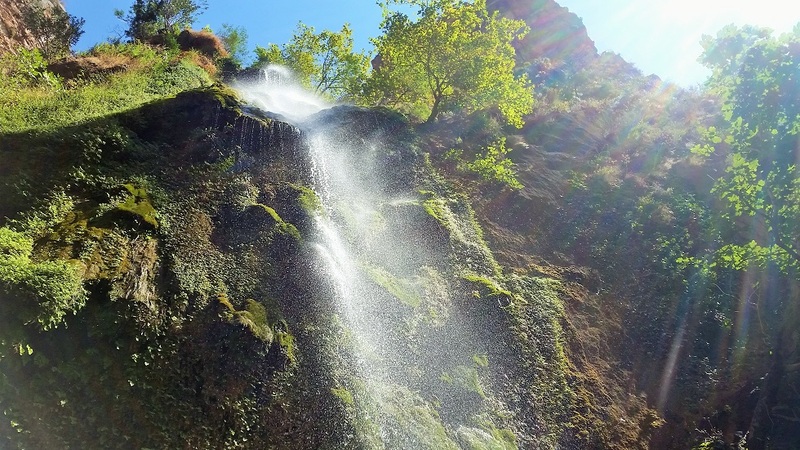 A waterfall that cascades from the 350m-high back canyon wall eventually becomes a gentle river, watering the lavender-flowered native chaste trees: the butterflies’ natural habitat. 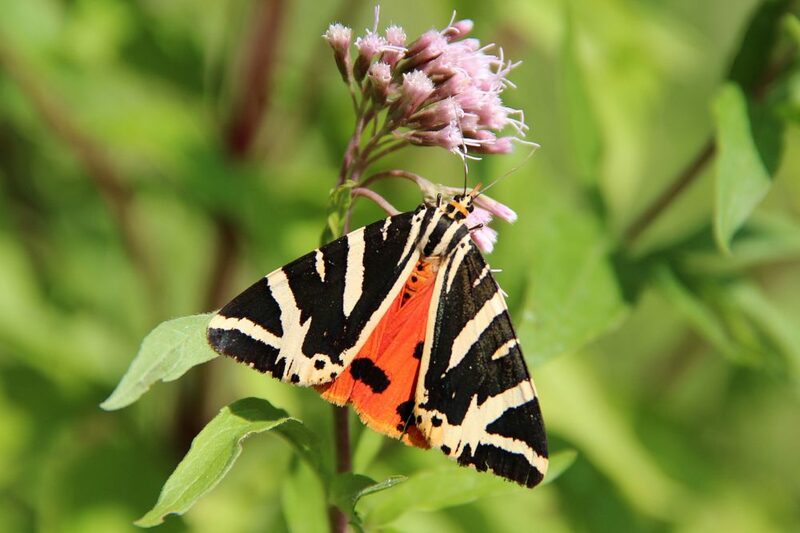 The valley received its current name in recognition of the nearly 100 species of butterflies, including the black, orange and white Jersey Tiger native to the area, that can be spotted in the valley between June and September. 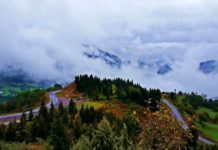 The Kaçkar mountains rise steeply from Turkey’s Black Sea coast and are an extension of the Caucasus mountains which are considered by the World Wild Fund for Nature and by Conservation International as a biodiversity hotspot. 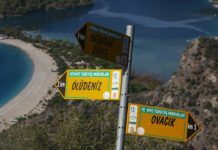 The Çoruh valley lies at the very heart of the Kaçkar. 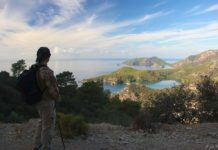 Stunning landscapes of imposing mountains, alpine & subalpine meadows, woodland, rivers & Mediterranean habitats make the Kaçkar Mountains an ideal home to an extraordinary diversity of flowers, insects and other wildlife! 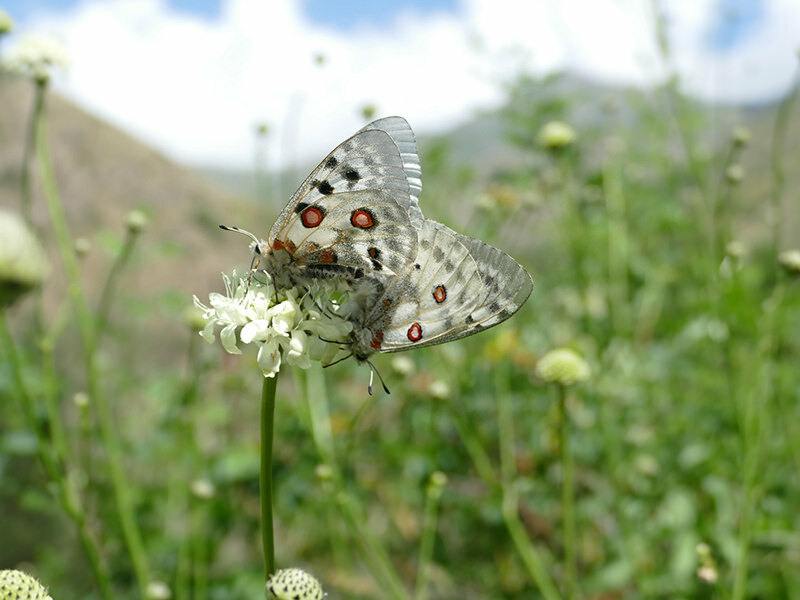 200+ butterfly species have been recorded in the region which is more than half of Turkeys impressive total number. Of course, you don’t need to be able to identify these gorgeous, fragile creatures to enjoy their beauty, but it is satisfying to be able to put a name to them. A truly gorgeous Eastern Steppe Festoon on rosemary. 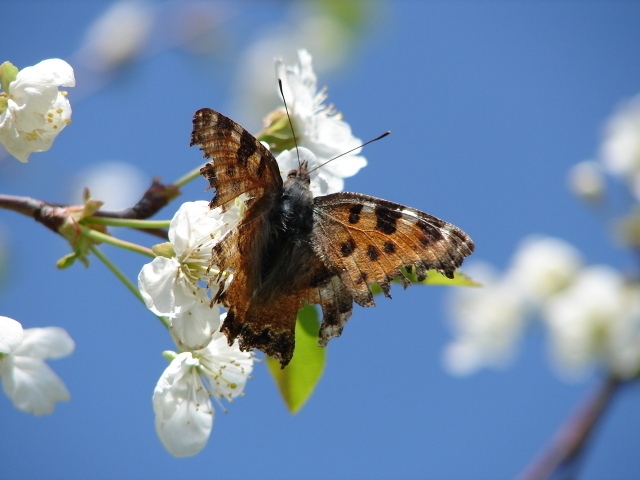 A Comma on cherry blossom in April. These butterflies can survive by hibernating all through the winter, which explains the rather tattered state of its wings. 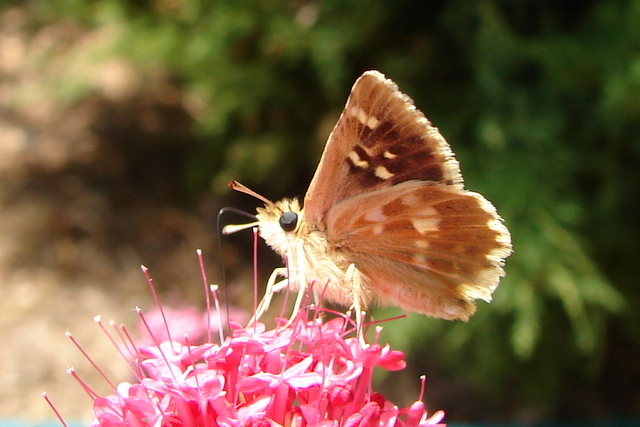 There are lots of butterflies of the Skipper family in Turkey. This one is (appropriately enough!) 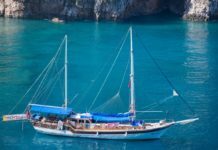 the Anatolian Skipper. For anybody interested in Turkey’s butterflies, there’s a marvellous book called “A Field Guide to the Butterflies of Turkey” by Prof. Ahmet Baytas, published by NTV, which will tell you all you’ll ever need to know! 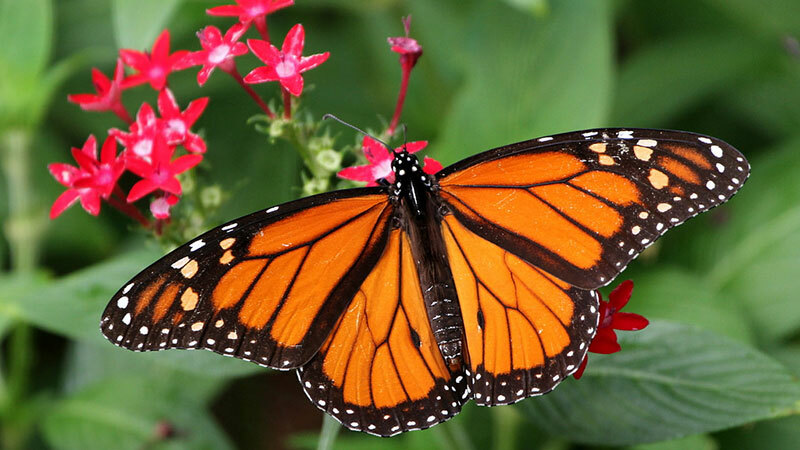 Did you know that a butterfly can’t fly if its body temperature falls below 86°F? Or that they drink the tears of turtles? And they use their feet to taste? Click here for more amazing facts about butterflies. What will you do to celebrate National Learn About Butterflies Day? 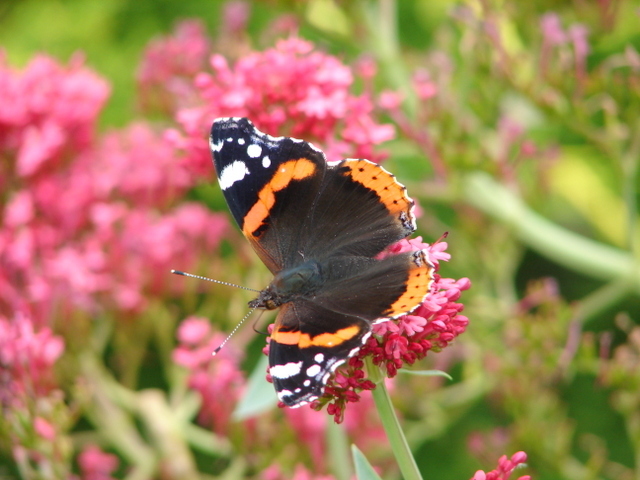 Butterflies need our help to survive as they rely on flowers and other natural sources for survival. We can help them by planting more flowers and what better day to do that than today?